Dr. Rkein is a board certified dermatologist in Gilbert AZ and fellowship-trained Mohs micrographic and reconstructive surgeon. With his extensive training, he is committed to providing patients with the highest quality dermatologic and surgical care, utilizing the most recent medical advances. 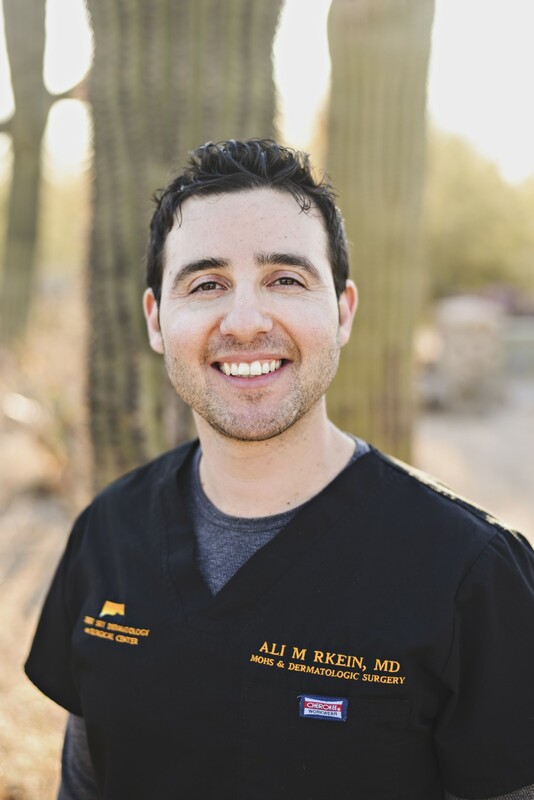 Dr. Rkein grew up in Michigan and received his undergraduate degree in Biomedical Engineering from Arizona State University. He received his medical degree from the University of Arizona College of Medicine, where he was elected to the prestigious Alpha Omega Alpha Honor Society and Gold Humanism Honor society. He was also awarded the Outstanding Senior Award for graduating at the top of his class. Dr. Rkein completed his internship at Banner Good Samaritan Medical Center in Phoenix, and dermatology residency at the Henry Ford Medical Center, serving as chief resident during his final year of dermatologic training and receiving the top research award by the Michigan Dermatological Society for his work on lasers. He then went on to complete a rigorous, year-long fellowship under the direction of Dr. Heidi Donnelly in Mohs surgery, lasers, and cosmetic surgery. Dr. Rkein has authored several book chapters and journal articles covering topics in the field of dermatology, dermatologic surgery and lasers. He has been invited and presented at the national level at the American Society of Dermatologic Surgery and the American Academy of Dermatology. Outside of work, Dr. Rkein enjoys spending time with his wife and kids, traveling, reading, and cooking.